Massachusetts aims to get 80 percent of its energy from carbon-free sources by 2050, but Boston has a more ambitious goal for that year: being 100 percent carbon free. 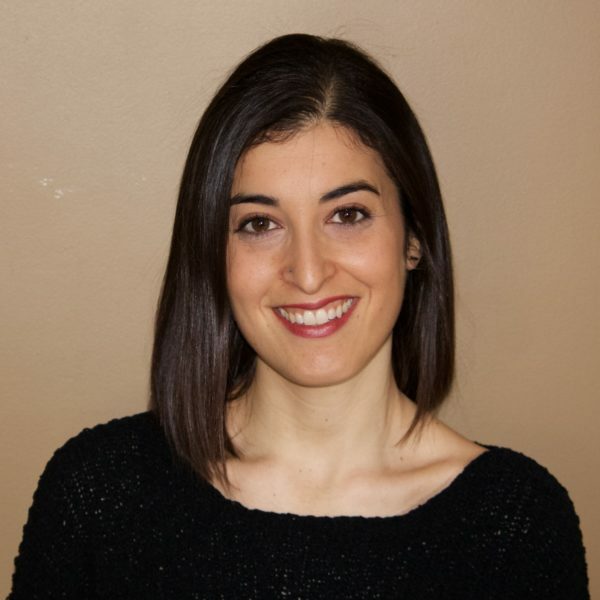 Since 2017, a team of experts from the city, outside consulting firms and Boston University's Institute for Sustainable Energy has researched how the city can do this, and what technical and social justice challenges it's likely to face. Their findings appear in a report published Tuesday by the Boston Green Ribbon Commission. The central message is that getting to carbon zero requires maximum energy efficiency and 100 percent clean electricity. The report identifies four sectors that would need radical overhauls to make this happen: buildings, transportation, waste and energy. 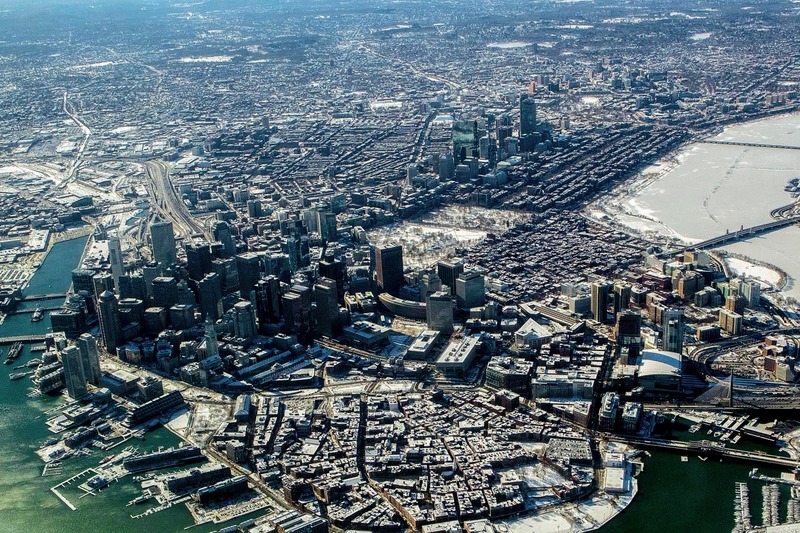 Boston is growing rapidly and the report says that growth will require an additional 77,500 new housing units and 40 million square feet of non-residential floor space by 2050. 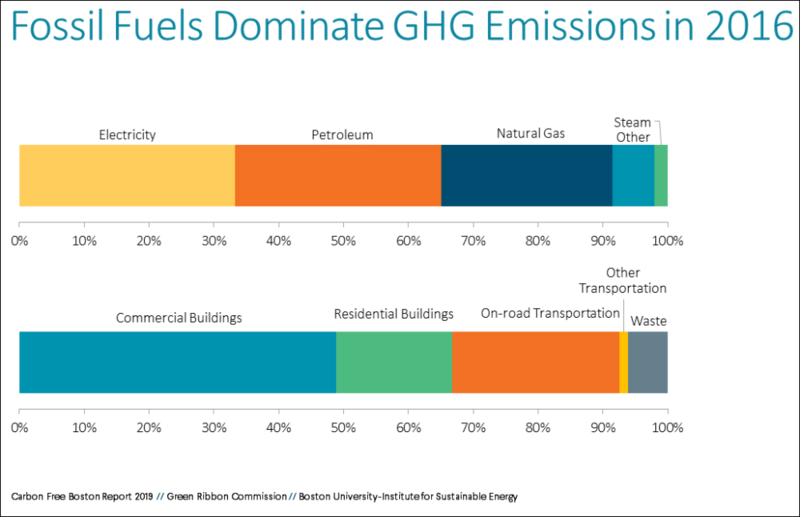 Buildings account for more than two-thirds of the city’s emissions, so Boston will need to make big changes to reach carbon neutrality. All new buildings must meet high energy performance standards. Existing buildings will need deep energy retrofits, well beyond energy-efficient light bulbs and window replacements. Homes must switch from oil and gas to electricity from carbon-free or renewable sources. The good news: The technology to make these changes already exists and should become cheaper. Making these changes should also create jobs, lower utility bills, and increase home values, while making the city more climate resilient. The challenge: The changes require a lot of upfront capital. Big questions remain about how the city will help landlords and homeowners pay for these upgrades, manage temporarily displaced people whose homes are being retrofitted, and ensure that people aren’t priced out of newly renovated homes. Approximately 29 percent of Boston’s emissions come from the transportation sector, and 75 percent of those emissions come from private passenger vehicles. 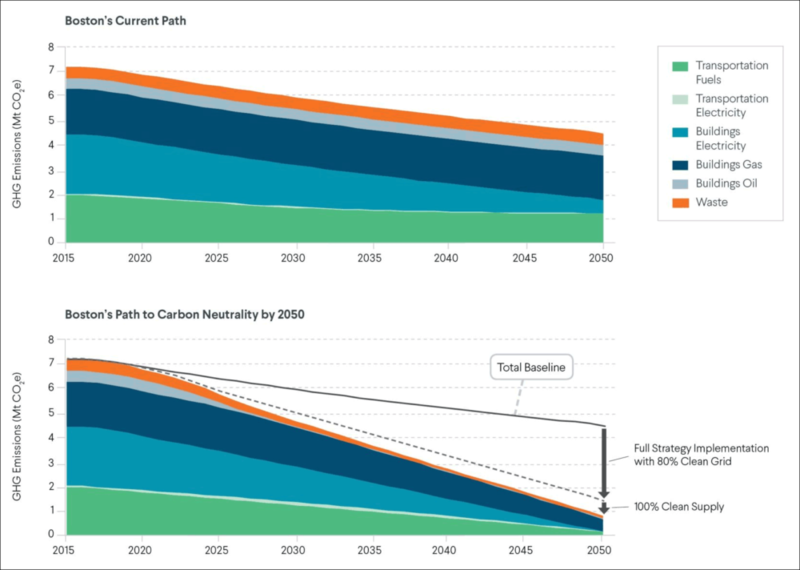 The trend toward electric vehicles means we are likely to see a 40 percent decline in transportation-related greenhouse gas emissions by 2050, even if the city does nothing. The remaining 60 percent is tricky. Move away from personal vehicles and toward public transit, walking and biking. The city must make streets more pedestrian- and bike-friendly, improve public transit, and levy new fees on parking and driving. Encourage population growth in “centrally-located, walkable, and transit-rich” areas of the city, while also reducing transit deserts. The good news: A cleaner and more efficient transportation system could reduce obesity and asthma rates and shorten commute times. And like with building changes, the necessary technology exists and is getting cheaper. 3. Waste: "Rethinking consumption to reduce waste generation can lead to significant reductions in [greenhouse gas] emissions at low cost." About 75 percent of Boston’s waste goes to a landfill or combustion facility. The rest is "diverted"-- recycled, reused, repaired or composted. Municipal waste creates 6 percent of the city's greenhouse gas emissions, so diverting more waste is key. Divert more food waste, paper, plastic, metal, glass and other recyclables. Implement policies to reduce trash generation — plastic bag bans, for example. Decrease the amount of contaminated recycling. Right now, 20 percent of what the city puts in recycling ends up in trash. The good news: Waste diversion is relatively inexpensive and much of the technology already exists. Plus, having less garbage means cleaner air and water for people who live near landfills and combustion facilities. The challenges: Depending on how the city structures its fee/incentive program, lower-income people could be hit hardest. It also requires buy-in from everyone in the city to work. 4. Energy: "The city has good and improving opportunities to obtain clean electricity [but] it is difficult to define a precise prescription ... due to uncertainty of future cost and market conditions." By 2050, 80 percent of electricity supplied to Massachusetts is supposed to be carbon-free. 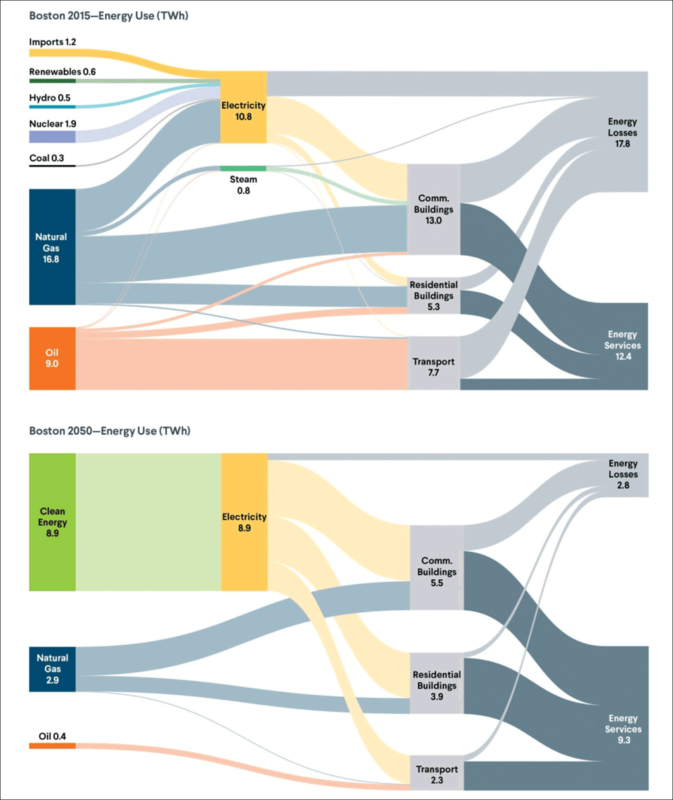 To meet its goals, Boston must source the other 20 percent from zero-carbon fuels too. Increase the number of rooftop solar panels. Solar should provide one-fifth of the city's power by 2050, per the report. More research and development of energy storage systems and methods of decarbonizing or creating renewable gas fuels. Use renewable energy credits, power purchase agreements and other forms of carbon credits to offset remain greenhouse gas emissions. The good news: These changes will create economic opportunities and could position Boston as a global leader in clean energy innovation. They will also reduce air pollution and lower utility bills; citywide, residents could save as much as $600 million annually by 2050. The challenges: The proposed plan would increase electricity demand by about 12 percent, shift the timing of peak energy demand patterns, and make the city more reliant on intermittent sources like solar and wind. Finding better ways to store energy will be critical. 5. ...So now that the report is out, what happens next? Great question. The Green Ribbon Commission will publish two companion documents in the next few months. One will consider social equity and the other will present the technical details underpinning the report. Meanwhile, city officials will use the report to help update Boston's Climate Action Plan. This process will include developing timelines and implementation strategies for new policies and programs, explains Carl Spector, commissioner of Boston's Environmental Department. "Do we need to change regulations? Do we need to change policies? Do we need to create programs in terms of incentives and training? Or in education and outreach? In all of these areas, [we will look at] the steps that we need to get us moving faster and more deeply over the next three to five years," he says. Exactly what these policies will look like, and how costs and benefits will be distributed across the population, remains to be seen. But if the report makes one thing clear, it's that the sooner the city acts, the sooner its residents will reap the cost, health and climate resiliency benefits. Click the audio player next to this story's headline to hear a Morning Edition conversation with Chris Cook, the city of Boston's chief of environment, energy and open space.